In The One Apart, we join Tres as he is born into the world with complete self-awareness and knowledge that seems to come from some other life. As Tres becomes Aaron, a modern young man with family and friends, he comes to know of the true nature of existence and of a strange growing threat to all things. This novel offers a very new and unusually mystical take on the idea that our reality is only the tip of the iceberg. It stretches the length of Tres/Aaron's life, chronicling his childhood, teenage years, and young adulthood, with all the complex experiences that are a part of those periods of life. The most striking thing about the story is the depth and realism of our hero's relationships. There's a realness to the love we feel from his mother and grandmother. You rarely see male relationships, whether it is friendship or rivalry, depicted so well in most modern novels as you do here. The weirdness of teenage attraction shows up in its awkward emotional immaturity, as does a more mature and very sweet romance with a realistic young woman. The mystical element is interesting, too, though it does seem to interrupt the mundane part so the tale jumps rather awkwardly from time to time. This works in a way, however, as the true nature of reality and the overall plot becomes apparent. Just be patient with these interruptions and their odd concurrence with other events. The author took a big risk by choosing such an odd story and pulled off the ultimate explanation of how her complex world works pretty well. This story contains a small subplot about child abuse as well as several depictions of death. There's a bit of sexuality, as well, but nothing explicit and the emotional effect is way more important than titillation. 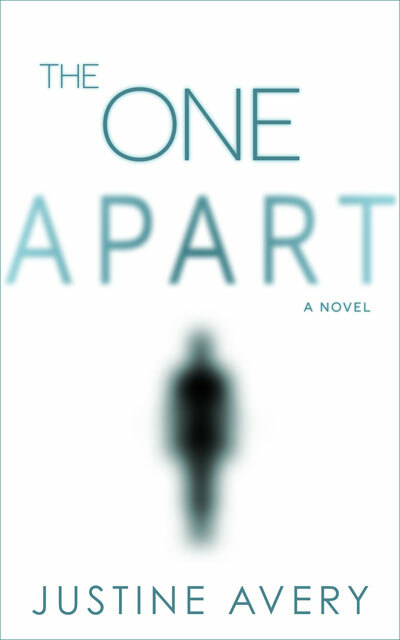 The One Apart is a story heavy with emotion and there is some excellent writing that really carries it. Its seemingly awkward pacing is actually a bonus to its world-building, which is a very clever twist on an idea that often seems overdone. A unique tale that rewards readers who take the journey with Tres. "Never before had he felt the loss of a loved one in the same way and so abruptly. Never before did a loved one linger, long, and then, leave—so wholly, so thoroughly—as Sancha had." Justine Avery is an award-winning author of stories large and small for all. Born in the American Midwest and raised all over the world, she is inherently an explorer, duly fascinated by everything around her and excitedly noting the stories that abound all around. As an avid reader of all genres, she weaves her own stories among them all. She has a predilection for writing speculative fiction and story twists and surprises she can't even predict herself. Avery has either lived in or explored all 50 states of the union, over 36 countries, and all but one continent; she lost count after moving 30-some times before the age of 20. She's intentionally jumped out of airplanes and off the highest bungee jump in New Zealand, scuba dived unintentionally with sharks, designed websites, intranets, and technical manuals, bartered with indigenous Panamanians, welded automobile frames, observed at the Bujinkan Hombu Dojo in Noba, Japan, and masterminded prosperous internet businesses—to name a few adventures. She earned a Bachelor of Arts degree that life has never required, and at age 28, she sold everything she owned and quit corporate life—and her final "job"—to freelance and travel the world as she always dreamed of. And she's never looked back. Avery loves to connect with fellow readers and creatives, explorers and imaginers, and cordially invites you to say "hello"—or konnichiwa. 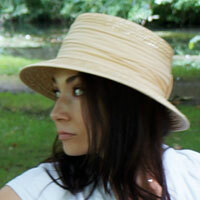 She connects with readers online on her website, Twitter and Goodreads.